As a teacher educator, I want my preservice teachers to become effective classroom teachers. Who wouldn’t? But I know that their classroom experiences have not always been positive ones — especially when we are talking about writing. During my class the preservice teachers refer to former teachers who “bled on their papers” or who “didn’t teach them to write, just told them to write.” So I work towards modeling what a writing teacher might do to help her students become writers. Who are my writing influences? Who am I as a teacher of writing? 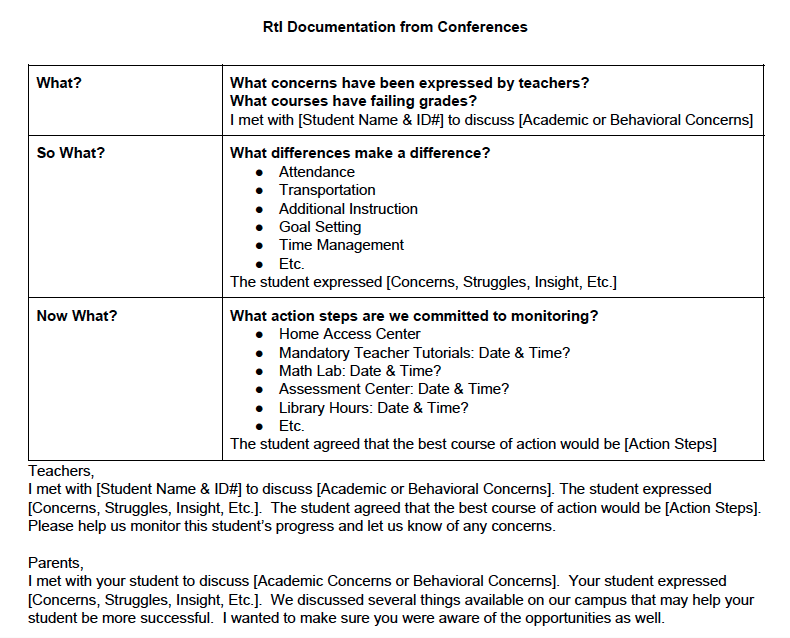 The assignments for each of these questions allow the students to look deeper into their experiences, their beliefs, and their future practices. 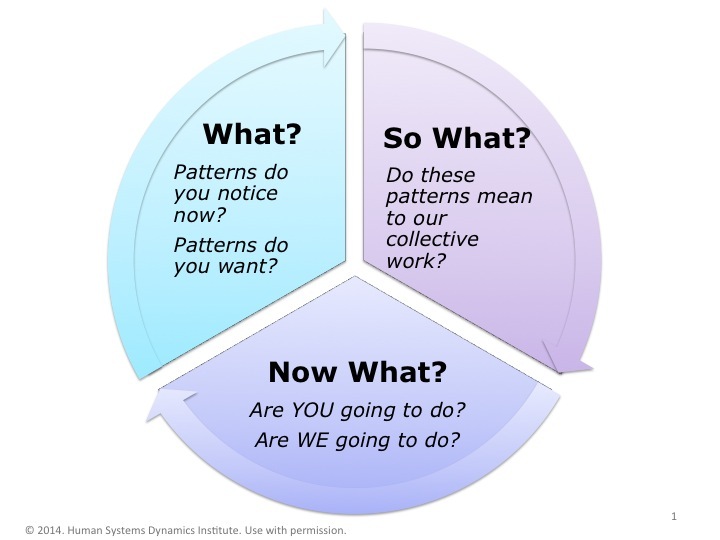 The Adaptive Action Cycle comes into play to answer each of the questions. The preservice teachers are introduced to the cycle using — what?, so what?, now what? Although these three questions are rather simplistic, they allow the students to examine a variety of situations, people, and events. They also allow the students to determine what conditions under which these might occur. These three questions also allow discussions to occur in a logical and diffused manner. The students develop a writing life map to look at the various ways that their knowledge and experiences with writing have been influenced. The what is generated by looking at influences in and out of school and positive and negative influences. In-school experiences include teachers and assignments. 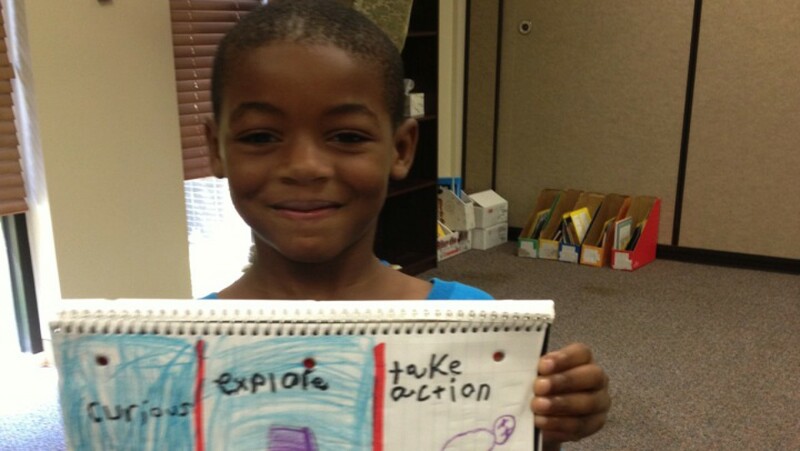 Out-of-school experiences include cards, letters, parents, friends, and journals. The so what happens when we look at the writing life maps to note what patterns are evident. The patterns reveal that the teachers often gave them negative feedback, low grades, and little instruction in writing. Further, all of the state testing has caused a negative reaction to writing. Students are expected to write to prompts that have little meaning to them. Outside of school students have the opportunity to pursue journal writing that they share with friends or for personal introspection. They also see writing as practical for notetaking or lists. Occasionally, a student will have an outstanding teacher of writing. When this happens, we ask what made the difference. Patterns which reflect outstanding teachers of writing include meaningful topics, helpful feedback, modeled lessons, and writing techniques that allowed students to write for specific audiences. For the now what, the students decide how to use this information to impact their teaching of writing. They determine that their writing instruction needs to provide opportunities for authentic assignments and scaffolded lessons. The students also realize that the now what is connected to being writers. This helps them begin to understand “Who am I as a writer?”, the next opportunity for adaptive action. Throughout the first half of the semester, I model a number of different kinds of writing lessons. Lessons include poetry, essays, conventions, letter writing, etc. The students have the opportunity to look at themselves through the adaptive action cycle. What — what do I do well as a writer, what do I need to learn, what do I understand about writing that will help the students that I teach?, etc. So what — By noting their own writing abilities/concerns, the preservice teachers can use the ideas to look toward actions that will impact their teaching. Often, the preservice teachers discover that they are writers. Up to this point they have had a limited view of writing, but the writing opportunities have expanded this view. Now what — The students can set goals to keep writing or to learn more about writing instruction. Learning about their own writing abilities also pushes them to find the question which drives the third question posed in the syllabus. How do I do writing workshop in my classroom? How do I help struggling writers? How do I help English learners write? How to I embed grammar instruction in writing? How will mentor texts help me teach writing? What was learned from the resource? So what does that information mean? How does it connect to other experiences or knowledge that they have? Now what (or how) will this new information be used in their classrooms. This last part is the key. I want to know how they are making sense of what they are learning. Through this last section I can see if they are applying what they are learning. This section is the hardest because they just want to tell me that they will use the ideas in their classrooms. But I want to know specific ways that they plan to use the information. In this context the Adaptive Action Cycle appears to be a linear process. This makes it seem rather laborious and strained. However, by viewing it throughout the entire course and in multiple ways, it may become more of a way of thinking for the students. We want the students to engage in thinking such as this so that it will become more automatic. It might even allow the students to respond more quickly and effectively to their students.